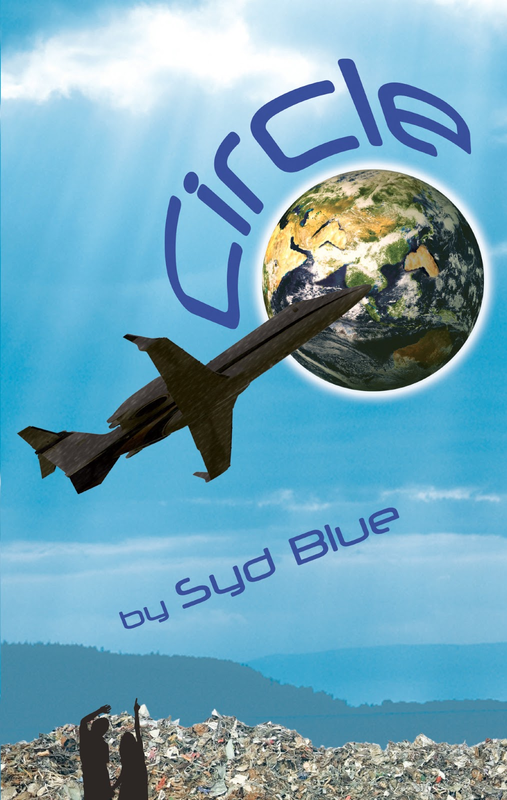 As Chief Pilot at an aerial surveillance company, Syd Blue flies throughout the Southwest in the turbulent, hot low-level skies. More than loving the magnificent views, she is on a mission to encourage young people to become pilots. 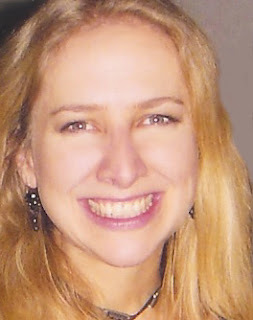 Syd conducts pilot interviews and resources in videos and blogs on her website and she’s written a book to inspire teens to go for their dreams. Syd's book, Fly Girl, is an amazing story. We were doing a little blog hop awhile ago, and she hopped on over to mine. So... here you go. Her answers the questions everyone wants to know. 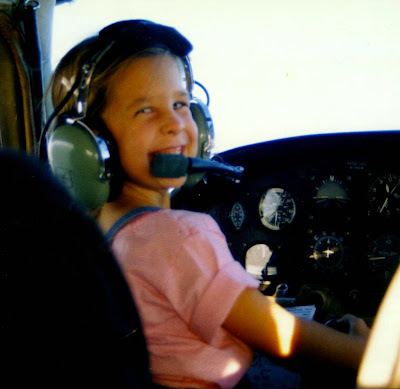 A photo of my 5-year-old niece behind the yoke of her grandfather’s airplane. It’s still considered an unusual concept – females who can fly. After all this time, the statics haven’t changed much. Women comprise only 6% of the pilot population. I like that there’s still a frontier to breech. It can be fun to be the anomaly: a woman pilot? Yes! My niece is now in college and working on her pilot’s license. She’s interested in a flying career, too. A 16 year old learns to fly an airplane – the hard way – and in the process becomes Pilot-In-Command of her life. 10 years in development. 6 months for the 1st draft. 6 months for the 2nd rendition. 6 months for the 3rd rendition. Etc. 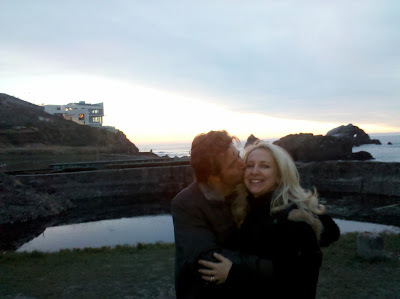 When I had the final story, 1 year for edits, and presto, a book is born. 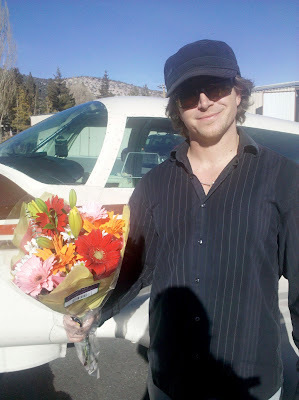 Finding time to write while running a business and flying is difficult, but I love to write about flying, especially. The Princess Diaries because FlyGirl Jill has to get herself together to handle the challenge before her. She has to stretch and grow into the shoes she’s trying to fill. People often say that learning to fly is the hardest thing they’ve ever done. There are times when Jill is so scared her feet are shaking off the rudder pedals, which makes her victory even more of a feat to celebrate. Flying and all the kids who wrote me and said they are dying to fly but their parents told them they were too stupid, or they aren’t good at math or all these horrible things that discouraged them. That’s so sad. I wanted them to know that often pilots face obstacles but overcome them. FlyGirl Jill has a ton of problems and she makes it worse, getting herself into all sorts of messes and terror in the skies, but she works through it. She doesn’t give up. No matter what you face, you can make your dreams come true if you believe in yourself. I didn’t know how else to communicate this to the kids who wrote me for encouragement other than telling them the story of FlyGirl. Along the way, people who have never flown before enjoy learning a bit about flying. Jill starts off wanting to become a pilot because she hears her crush, Robbie, say he thinks a woman who can fly is hot. I picked up that idea from an editor at AOPA who told me she became a celebrity at high school when she was learning to fly. 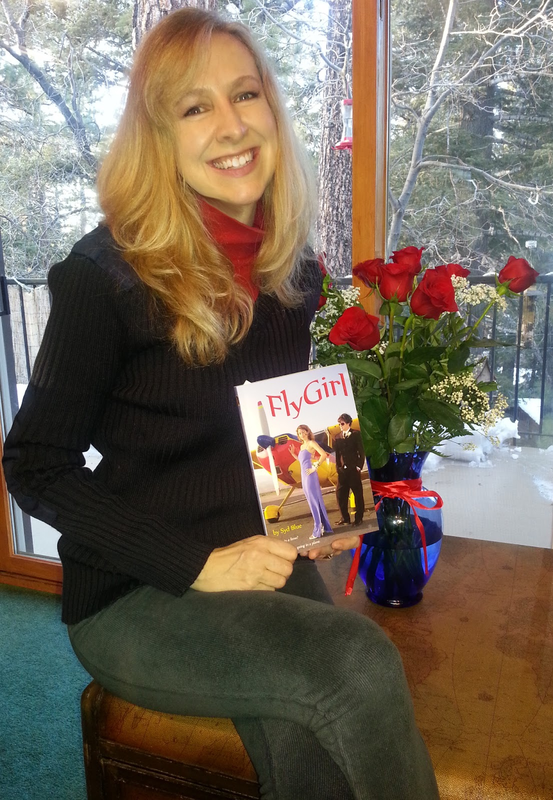 Her interview and others are at “Fearless FlyGirls." It’s also interesting that FlyGirl Jill has so much fear to conquer in order to be able to fly. As I say in Karlene's blog many student pilots drop out during training and often it is because they encounter a difficulty. A friend of mine put 4 grand into training and then a scary crosswind caused her to quit. Being terrified is not a reason to quit. You can work through it. It’s just another part of your process to overcome. The journey to becoming a pilot is life-changing and worthwhile for everyone – not just those who want to fly but for those who want a boost to their self-esteems. It is awesome to be able to call yourself a pilot. Not just because pilots are a terrific community to belong to but also because it means you have determination, skills, focus and confidence. It teaches you the value of confidence. You’ll see a direct connection between your mind control and your result. There are so many important reasons to learn to fly! 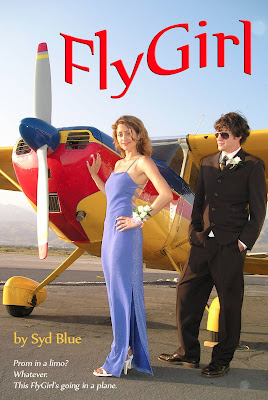 Even if you have no interest in flying, FlyGirl is a fun ride as we watch Jill learn what porpoising is or the surprise Robbie has waiting for her at the airport. The Next Big Thing...is Available! My next book, Circle, is geared for everyone, boys included. A cross between Indiana Jones and E.T. It’s not about flying like FlyGirl, but it has flying in it, of course. It’s about a 14 year old, Spencer, who discovers an extraterrestrial girl, Mandy, hiding out in his house. She’s lost and alone since the jet she stowed away on crashed in the desert behind Spencer’s home. After the pilot is captured by military, Mandy needs Spencer’s help to rescue him from Edwards Air Force Base and help them get back home with the one thing their civilization needs to survive. On the run from soldiers, fighter jets and attack helicopters, Spencer’s family falls into crisis when they discover what it is that Mandy and the pilot have really come to Earth for. Coming soon, you’ll be able to find its link at SydBlue.com. Syd will be in Seattle February 23-24th at the Northwest Aviation Conference and Trade Show. Drop by and say hi and get your copy of Fly Girl and Circle. I love how you're trying to inspire teenagers, like myself, to begin flying! That's so honorable of you... we need more new student pilots. It's incredibly rewarding, I'm going to be so proud of myself when I make it to receiving my PPL. I've had a great experience beginning flight training (and with my first solo). My friends have a new respect for me because I am doing something that I am really passionate about and can share with all of them one day. Plus, they think flying is really cool! I read through your website and really like it! It's done very nicely. Thanks for your comment Swayne. Syd is a great lady. I am sure she will love your blog.